The Amatista Amazon cruise operates out of Nauta, Peru or Iquitos, Peru, depending on itinerary and water levels. The Iquitos airport is called Coronel FAP Francisco Secada Vignetta International Airport– IQT. To get to the Peruvian Amazon, you cannot fly direct internationally to Iquitos airport. Instead you must first take an international flight to Lima, Peru (Jorge Chavez International Airport– LIM) and from there you can then take a domestic flight to Iquitos. To get to Nauta, you must fly to Iquitos and travel 1.5 hours by car. Once you've reached Lima, there are three main airlines that fly to Iquitos, LATAM, Avianca and Peruvian Airlines. From Lima, the flight to Iquitos is 1 hour and 55 minutes. If transferring to Nauta by car from Iquitos, the drive is usually 1.5 hours. 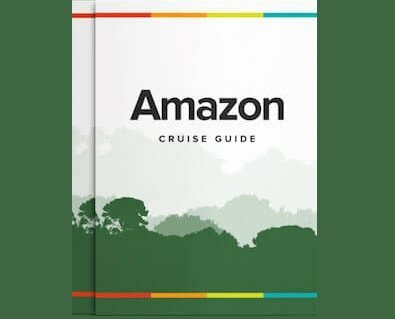 It's important to note that the Amatista Amazon cruise has a set of recommended flights that best tie in with their cruise itineraries, ensuring the easy coordination of transfers for all their passengers in one go. Below you will find details of those recommended flights for the Amatista Amazon cruise. Transfers to/from Iquitos airport (Coronel FAP Francisco Secada Vignetta International Airport– IQT) to the Amatista Amazon cruise are included when booking the recommended flights. The total transfer time is approximately 1.5 hours if boarding in Nauta. Transfer vehicle is an air-conditioned van.